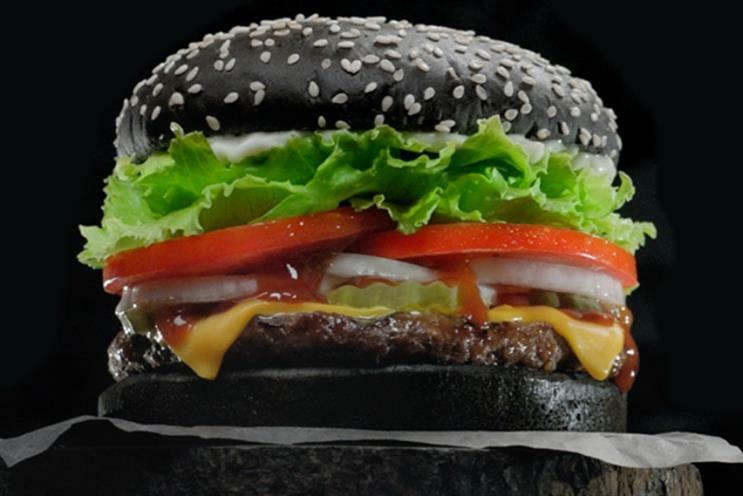 Would you eat this spooky black Halloween Burger King? No, this burger hasn't been left on the grill too long - it's a limited edition Whopper that Burger King is launching to capitalise on Halloween. Burger King will turn the buns of its famous Whopper burger black to maximise sales opportunities over the spooky festive season. The fast food giant already sells Black Burgers in Japan as part of its regular menu and is bringing the bun to the UK for a limited time. The bun will have a BBQ flavour, it said, with a tangy bite and will be available until 31 October. "The introduction of the black burger in Japan created a lot of excitement, with many people in the UK interested in trying the burger," said Matthew Bresnahan, marketing director for Northern Europe, Middle East, & Africa.